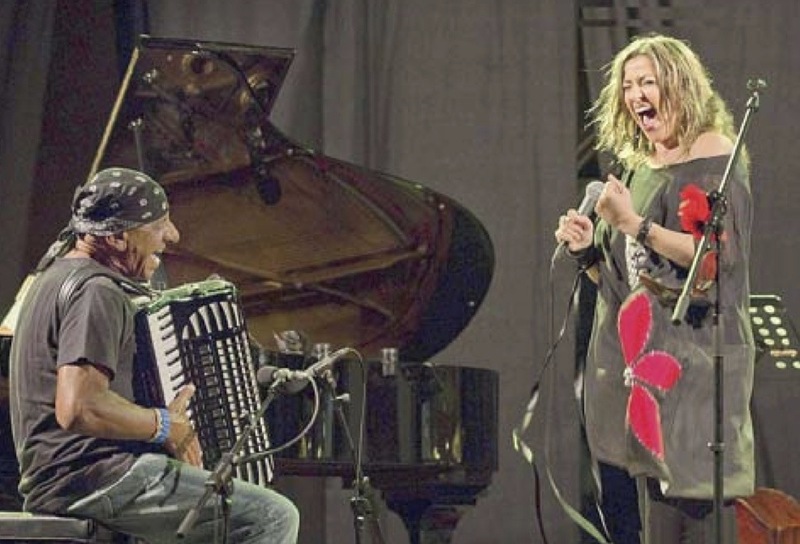 Antonello Salis, il poliedrico outsider del jazz internazionale, incontra Filomena Campus, cantante, autrice e regista, trapiantata a Londra dal 2001. Il risultato è una combinazione di idiomi dall’incedere imprevedibile, che ben rappresenta e sintetizza la sensibilità dei due artisti: lirica e popolare, ironica e aperta a mille influenze, sempre pronta a guizzi improvvisi e brillanti. Le radici improjazz dei due musicisti si legano alle influenze delle avanguardie europee, brasiliane e afroamericane, in un trionfo di creatività che lambisce a tratti atmosfere oniriche, smonta i classici e sfida composizioni contemporanee, come Stripsody di Cathy Berberian, spartito per sola voce eseguito invece in duo, come un canovaccio della Commedia dell’Arte. La sapiente voce della Campus s’intreccia indissolubilmente al pianismo percussivo di Salis pur mantenendo la propria cifra stilistica, e duetta con la fisarmonica in un crescendo di suggestioni spumeggianti, citazionismi e divertissement. L’intesa si sublima nelle composizioni originali, alle quali viene riservata una vivace rilettura; imperdibile l’inedita rivisitazione di Lester, classico di Salis, finemente contrappuntato dal cantato sontuoso, e di sicuro effetto teatrale, della Campus. Un racconto da scrivere e riscrivere, concerto dopo concerto. Come ha sottolineato LondonJazz in occasione delle loro recenti esibizioni a Londra: aspettatevi l’inaspettato! A Sassari la cantante e il pianista protagonisti di un riuscitissimo jazz live. Filomena Campus e Antonello Salis: che spettacolo. Li abbiamo visti insieme l’altra sera al Teatro Civico per il secondo appuntamento del cartellone “Voci di donna” organizzato per il decimo anno successivo dalla cooperativa Teatro e/o Musica con la direzione artistica di Stefano Mancini. 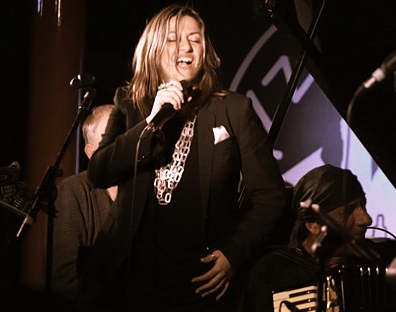 Alison Bentley interviewed Antonello Salis ahead of his gig at Pizza Express Jazz Club on the 12th February. He will be joined by Filomena Campus, Cleveland Watkiss, Orphy Robinson, Steve Lodder and Adriano Adewale. 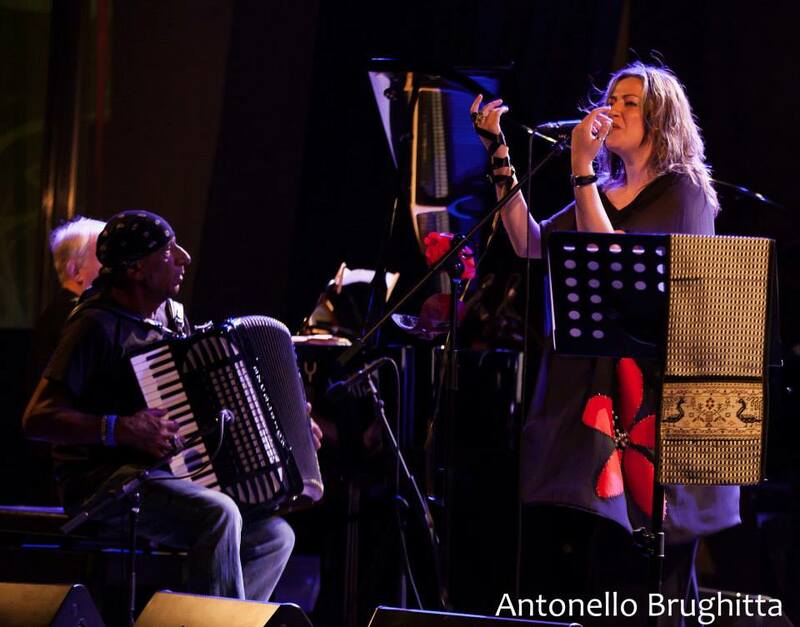 A rare opportunity to hear the great Sardinian accordionist and pianist, Antonello Salis, with a fine band of Italian and British jazz musicians. 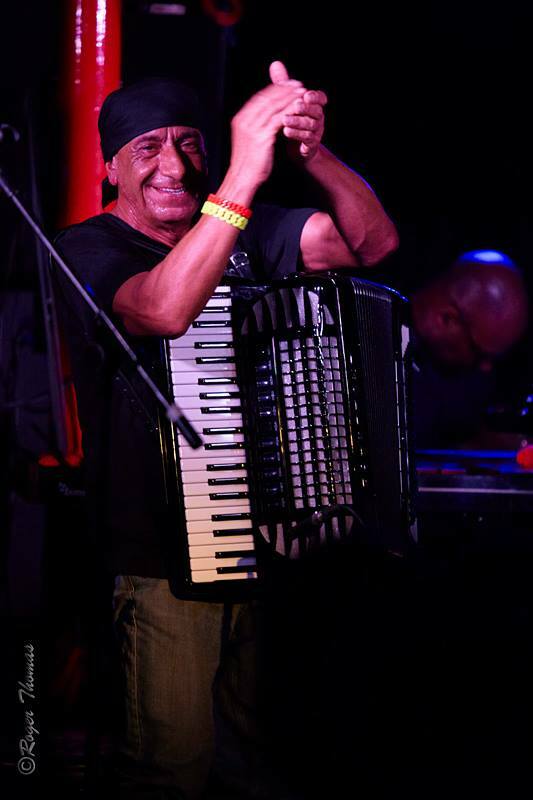 Born in Sardinia in 1950, Salis started with a toy accordion as a child- he taught himself, and has developed a style so original and distinctive that he almost seems to bend the notes in the air. 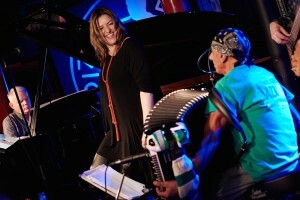 You’re as likely to hear Sardinian folk tunes as jazz and rock, or a Beatles tune- or his own intriguing compositions. He didn’t want to play the traditional accordion repertoire. 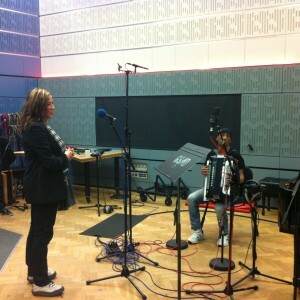 When I spoke to him in Sardinia last year, he talked about his struggle to find the right music for the accordion. 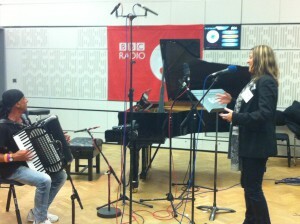 ‘I spent 20 years thinking the accordion was dead. During this 20 years, I played music by Edgard Varèse, Frank Zappa, Stravinsky, Stockhausen, Indian music. 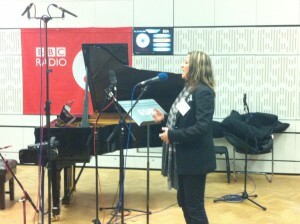 After a long time, my ideas changed: I said, ‘Why not use the accordion- but in the service of this music’. You really feel Salis could play anything on the accordion, but with such a sense of fun and mischief that he takes you with him. 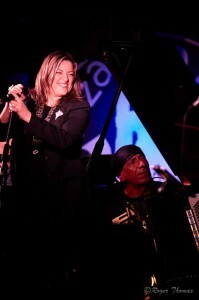 Salis has worked with a Who’s Who of American and European Jazz musicians: in a trio with Cecil Taylor and Tony Oxley; Pat Metheny; Nana Vasconcelos, with whom he’s recorded; Lester Bowie (Salis even named his son Lester); Steve Turre, Roscoe Mitchell and the Art Ensemble of Chicago, and Evan Parker, as well as fellow Italians Stefano Bollani and Paolo Fresu. Salis: ‘I like Mark Ribot, Tim Berne, Ornette Coleman, though I’ve never played with him. And Dexter Gordon- very human.’ He also loves rock guitarists: Jeff Beck, Hendrix, Steve Vai, Joe Satriani. Salis’ own playing can have a rock intensity at times, between the humour and gentleness. Salis’ music is in demand with dance companies such as the experimental Pina Bausch Tanztheater. 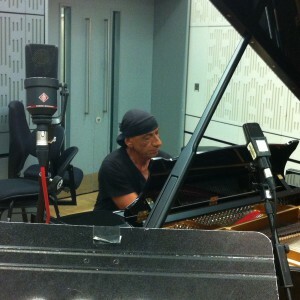 You can also hear him play in Eric Rohmer’s film Autumn Tale. Salis said, ‘It was a pleasure to meet these great people. But they were very normal people!’ Salis himself has won many awards, including the Django d’Or Award 2005 and the Lifetime Achievement Award at the 2008 European Jazz Expo.